It's back and looks promising to be as epic like it's first installment. 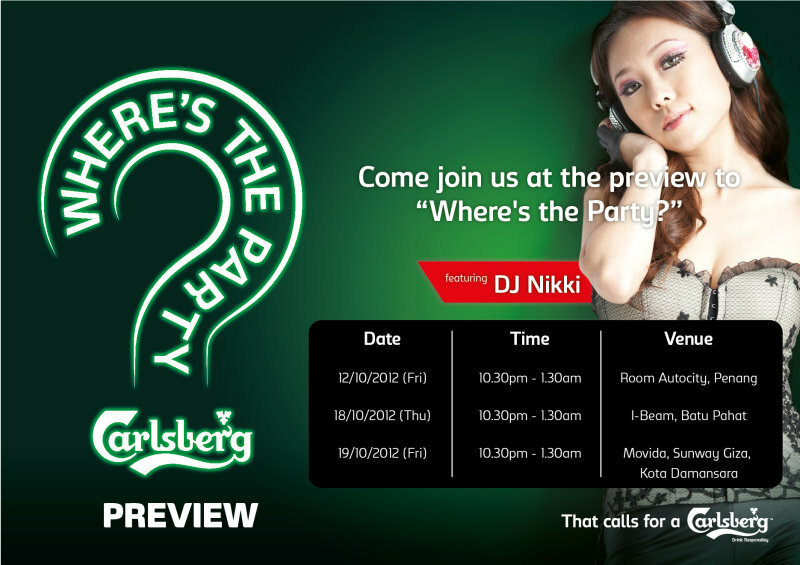 The Carlsberg "Where's The Party?" will be held on the 10th of November 2012 this time around and has 3 Nations to party together! No doubt, the app to win the invites (https://www.facebook.com/Carlsberg/app_157568171034173?ref=ts) is coming to an end with this week being the last week for your chance to win, but do check out the preview party to it happening at Movida, Sunway Giza tomorrow, Friday, November 19, 2012 and who knows, you might win a couple of invites to the party. The lovely DJ Nikki will be spinning for the night. So get on down on a Friday night to the prelude of what's to come and let your hair down for an awesome time!